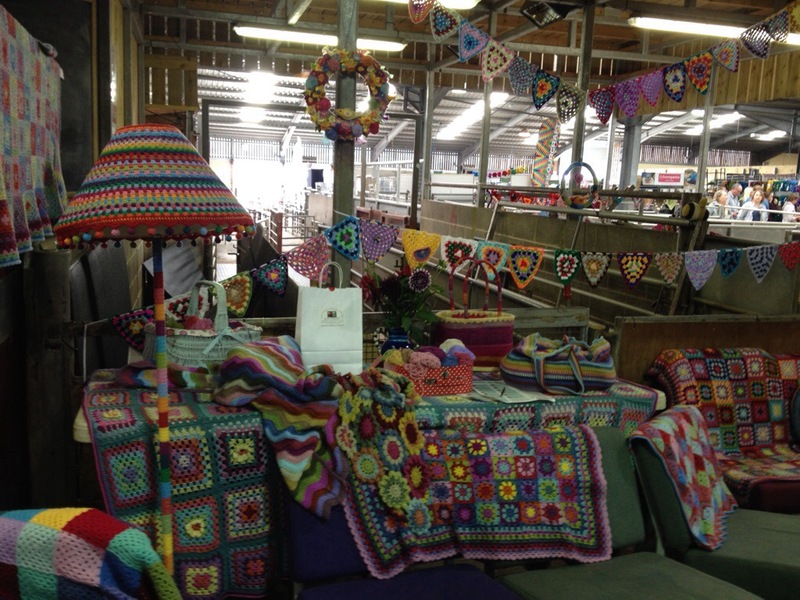 I drove to Yarndale from Leeds on Sunday as I had another event over the weekend. The drive was sublime; I can’t tell you how many times I shouted “Wow!” at the stunning scenery. I really do love Yorkshire. As you can probably tell the weather could not have been better either; on Saturday my friends and I were wandering around Leeds in t-shirts. Doesn’t this look lovely? What a great way to welcome visitors. 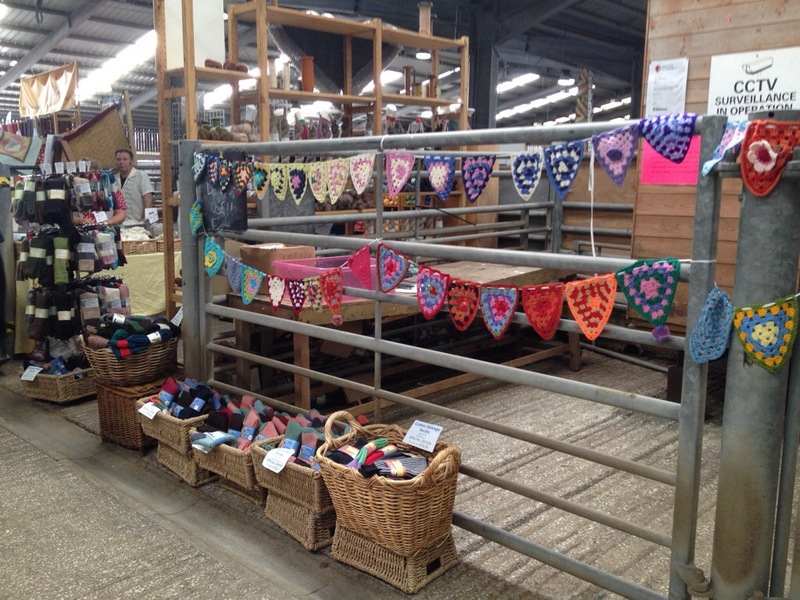 I had felt a little sad not to be able to go to Yarndale on Saturday, but after hearing of the queues, people trying and failing to access some stalls, along with traffic issues I was relieved to have gone on Sunday. As it was the main car park was full when I arrived and so I was directed to an overflow car park a short walk from the auction mart. 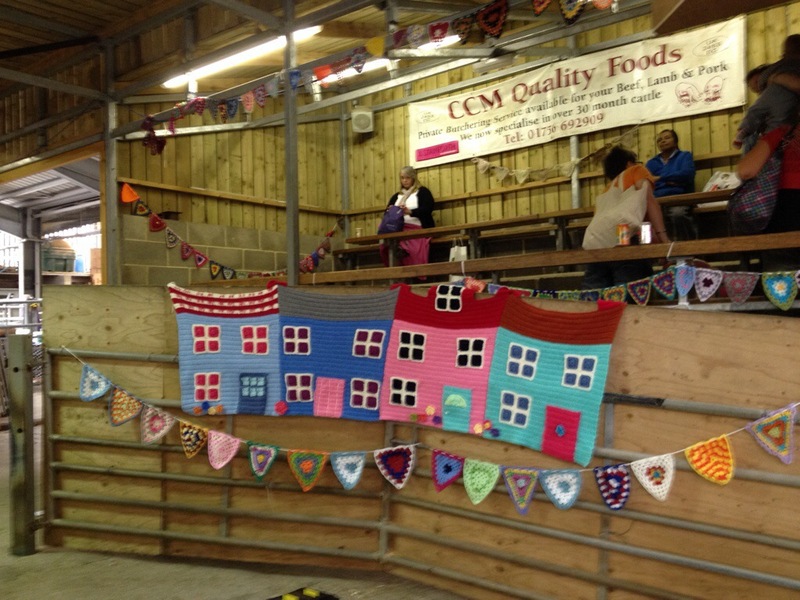 Can you see your bunting?! Look at that! 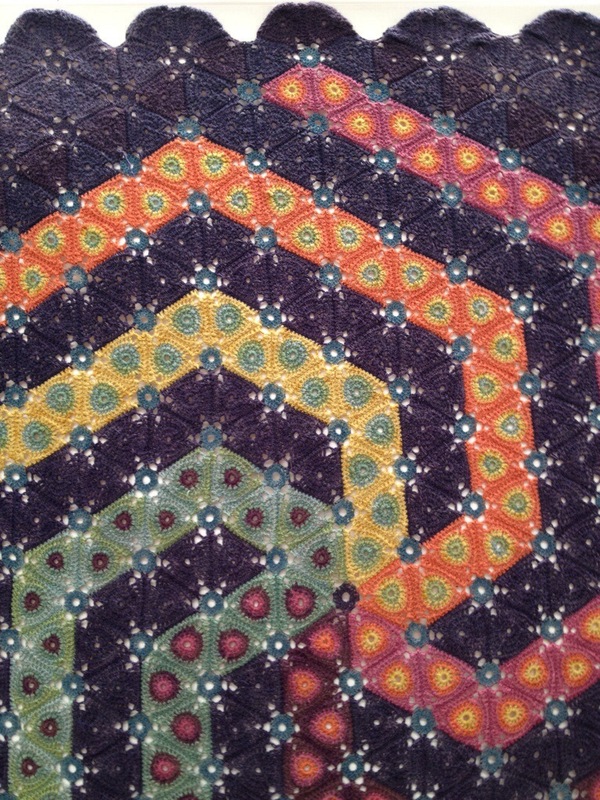 That multi-coloured triangle with the blue centre is one of mine. This made me laugh – out of over 6,000 triangles mine’s right by the front door. I wandered into the main room and the brass band starting playing, I truly got the shivers. The sound was absolutely gorgeous. I’ve made some recordings of the music to play at home. They really remind me of the jolly, warm atmosphere. You can also hear snatches of conversations in broad Yorkshire accents as people walk past, music to the ears! 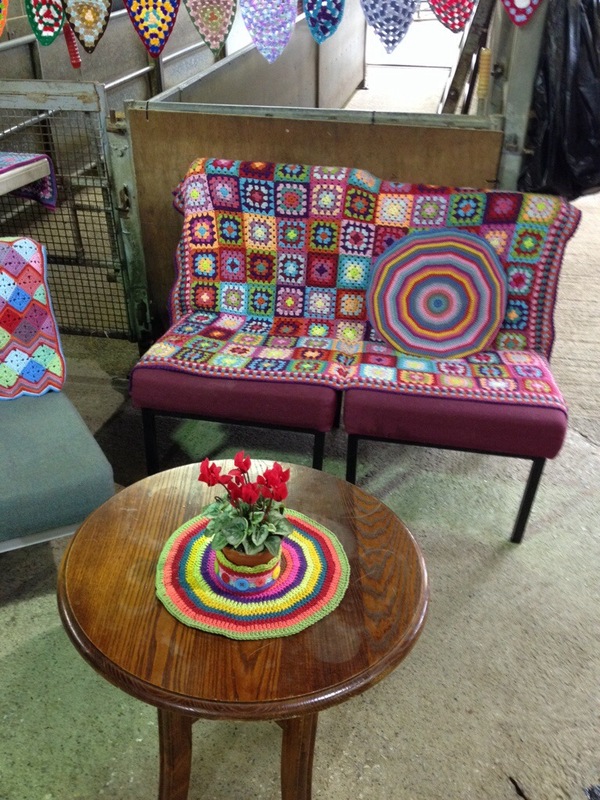 I headed for the crochet, knit and natter lounge as I just wanted to say hello to Lucy. We chatted for a little bit, then I introduced myself and we had a big hug. She’s as lovely as you’d expect, a petite and pretty lady. I honestly don’t think she had a minute to draw breath all day as so many people came to chat to her, but she seemed to be incredibly relaxed and enjoying being there. It wouldn’t have occurred to me to get my bag signed except a group of four or five women asked Lucy to sign their bags. They were pretty over-excited to meet her and I heard her saying “Calm down ladies!” which did make me smile. After we’d chatted for a while and properly met I asked, with a little shyness, but am glad I did as it’s a sweet souvenir of the day. Here are some really special bunting triangles. I love the sheep’s head. There’s something very cool about seeing items that you’ve seen on a blog. 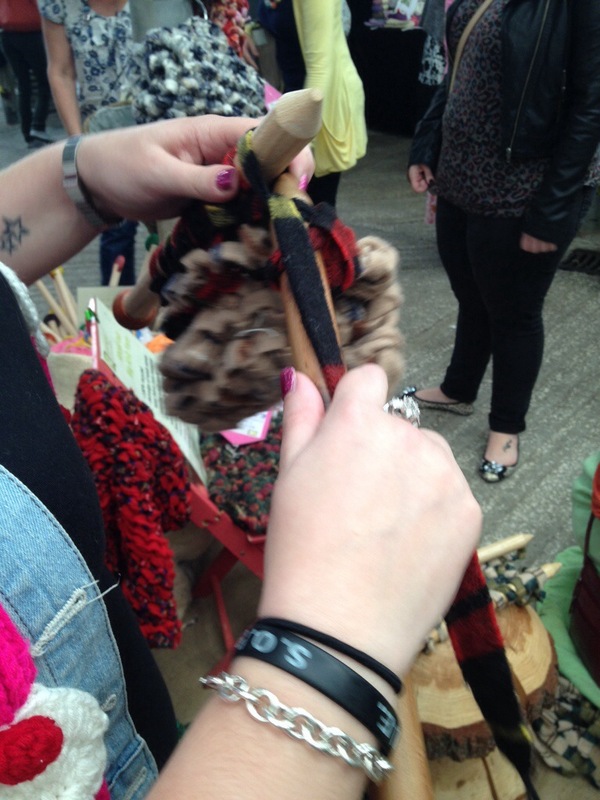 I’ve felt the same when Natasja of Crochetime and I have met and she’s worn items I recognise. 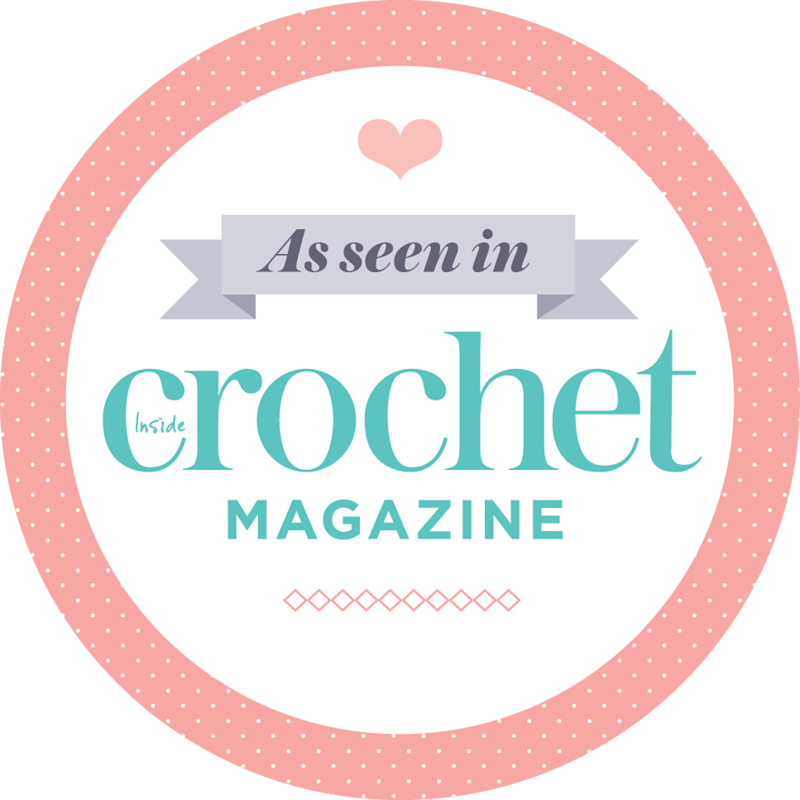 It’s a crochet nerd thing isn’t it? Lucy said to “do us proud won’t you?” when I said I was going to take lots of photos. Well, no pressure at all then! I’m wordy and equally so with my photographs – this is just a selection of many. 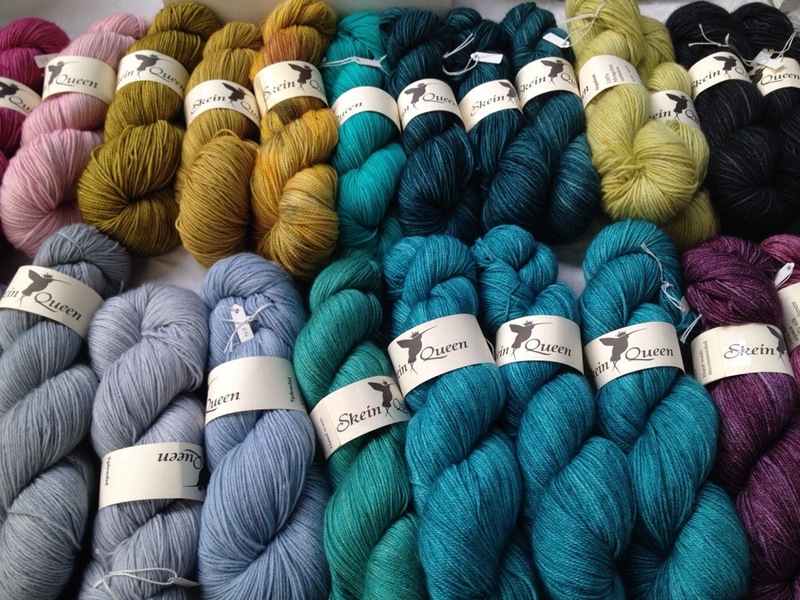 There are a good few photos of skeins of the wooly stuff, oh the range of colours and the feel of it! Bliss. I’m just glad they don’t charge you for stroking it. After a few laps of the building I settled down to do some crochet and realised I was the only non-knitter in the lounge bit, amongst a lot of people. This surprised me rather. I was amused to see I was at a little table with Lucy’s covered tuna tin flower pot – I don’t think I’ll ever forget the look on Someone’s face when I talked about these when they featured on her blog. Funnily the other individuals who came, one by one, to where I was sitting were also in education; lecturing, teaching or having worked in an advisory capacity. That was curious, it was like education corner. We covered a lot of ground, there were some fascinating stories. It was very very tempting to buy these circular needles, except I wonder if my iffy elbow would disintegrate after a few rows. Isn’t this girl’s scarf gorgeous? She was a star for letting me photograph her using the mega needles and then her scarf. 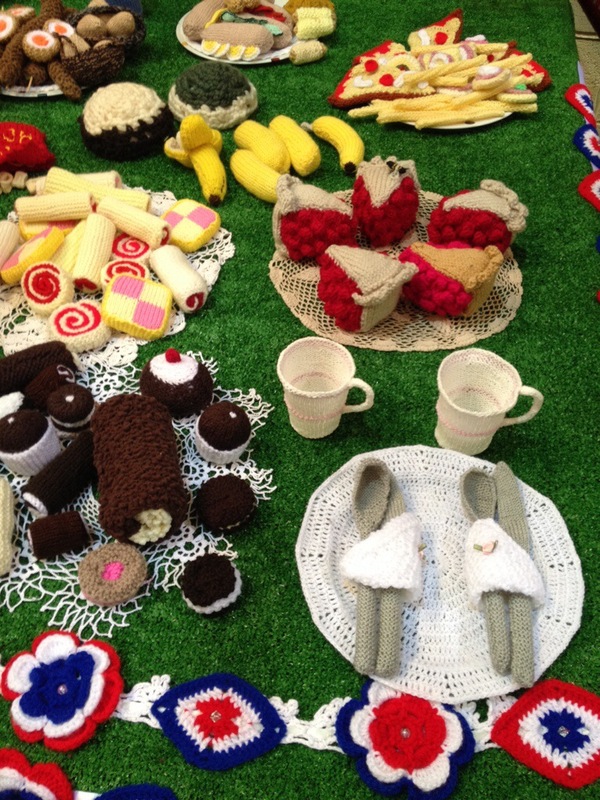 One of my favourites – a knitted and crocheted picnic. 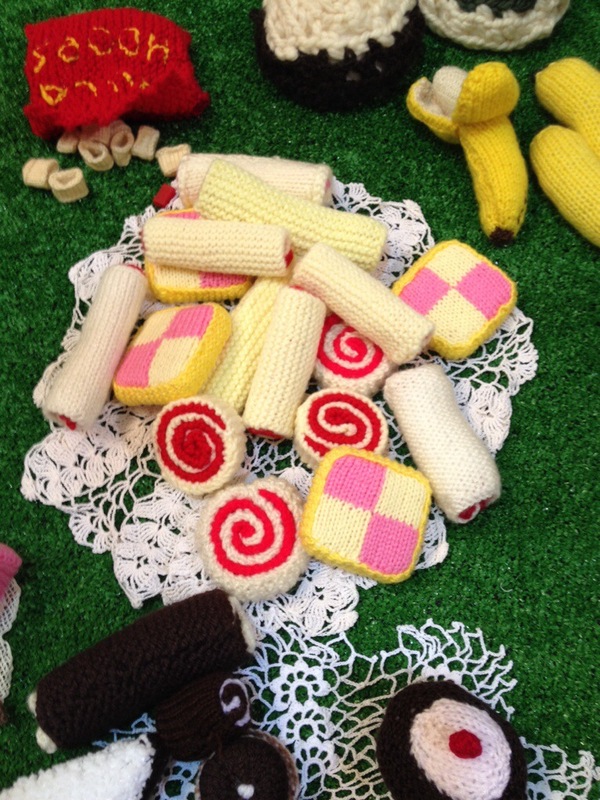 A slice of battenburg pretty please. 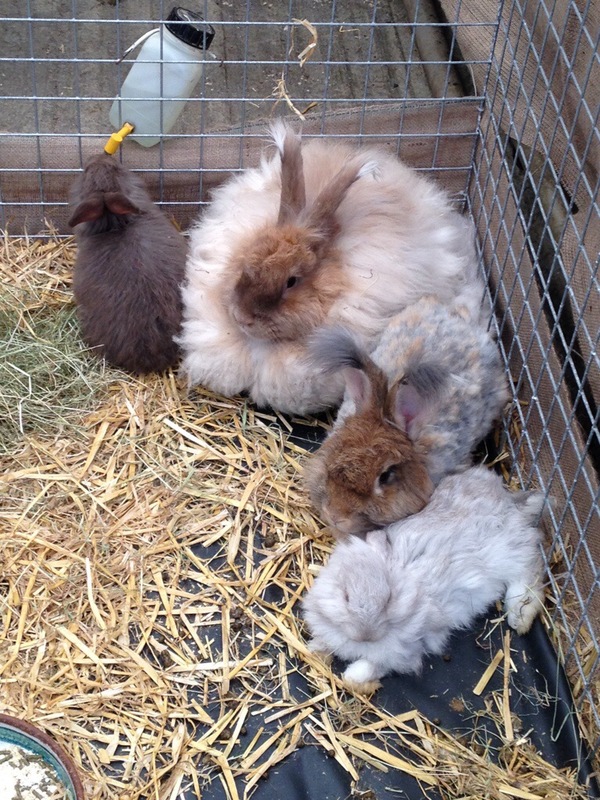 Angora bunnies, pretty aren’t they? 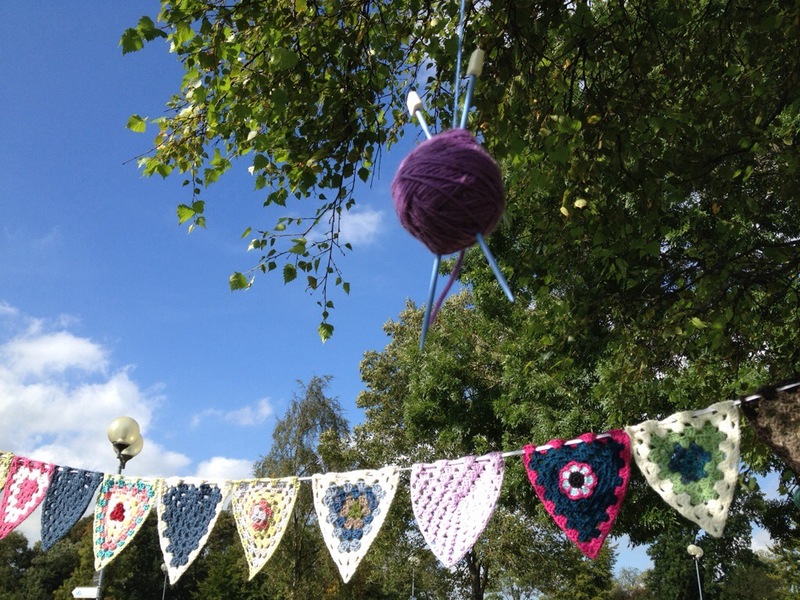 On my final loop I noticed Heather of Little Tin Bird blog’s yarn bomb. It was such a clever idea to copy Lucy’s blog header. 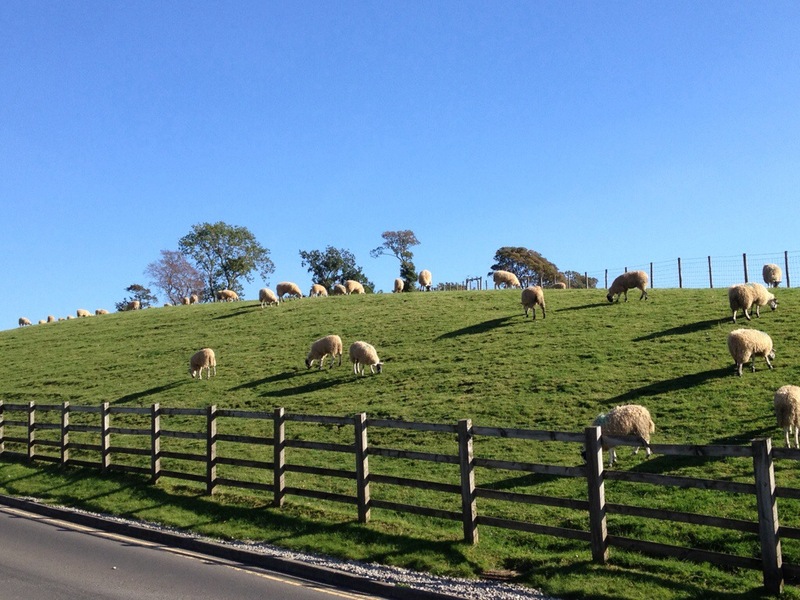 As I trudged back up the hill to the car to head into Skipton the sun was still shining. What a lovely day. Just wow. 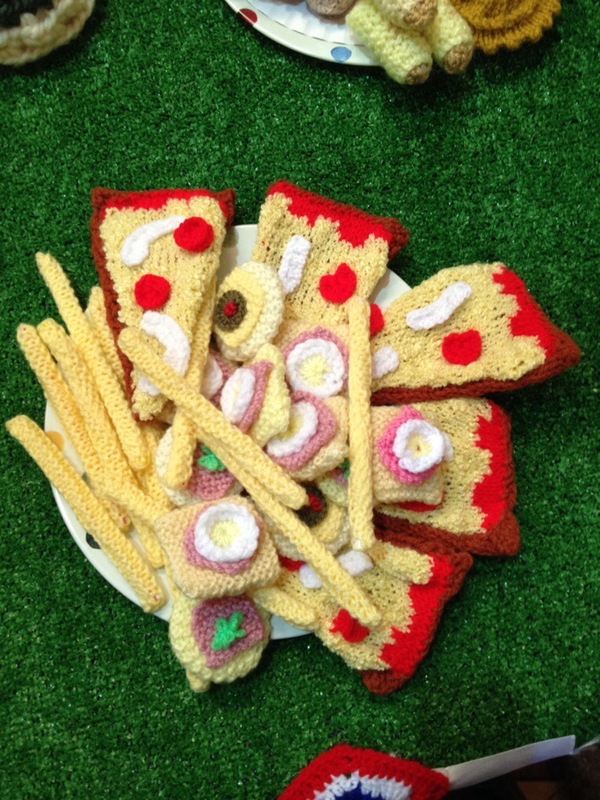 I have been waiting for someone to make a super blog post with loads of pics and someone has, yay! I so wish I could have gone there, but hopefully it will be on next year so I will def. try and go. It looked like an amazing day, glad to hear you had loads of fun. I love the sheeps head bunting too. Really effective. Apparently it’s going to be the same weekend next year, I’m crossing my fingers that whoever told me is right as I’d like to visit again. Hi Rachel thanks for taking and posting lots of photos, as yes! 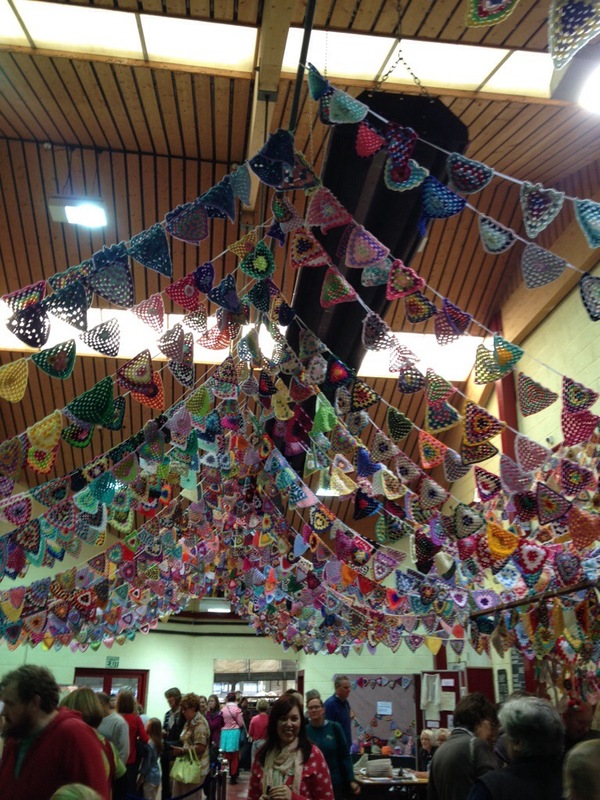 I think I spotted one of my bunting triangles in photo no. 5! (I’m really chuffed – at least I now know they arrived!). Was sorry to not go, it looked like a great event, maybe next year……. 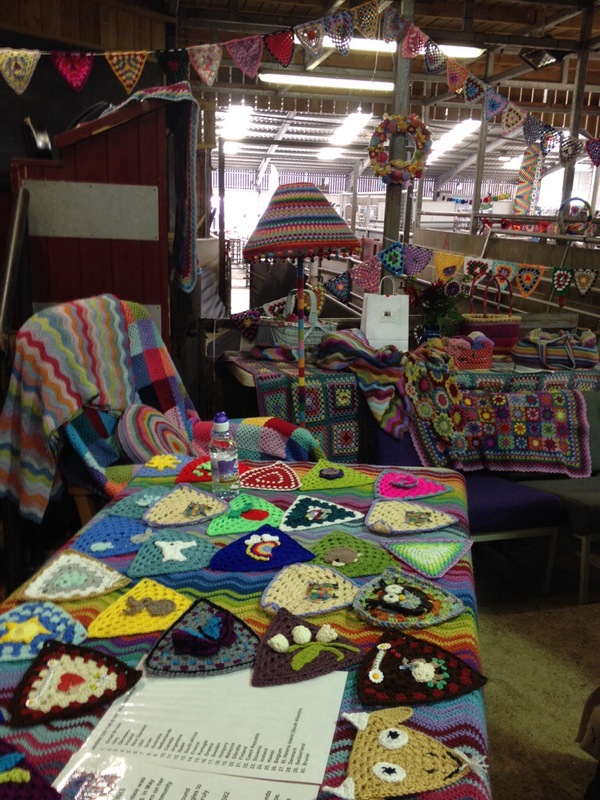 I want to THANK YOU so much for sharing your wonderful day at Yarndale, Rachel – you have done a terrific job with your pics and write-up and I thoroughly enjoyed it, so much so that I can almost feel the atmosphere! Because it’s impossible for me to be there I am super appreciative to see coverage as good as yours: thank you! 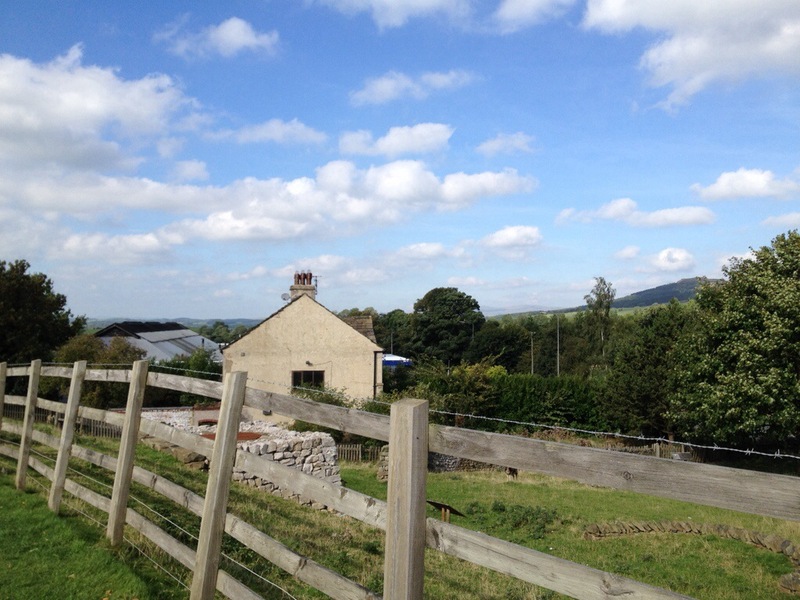 My (sadly, deceased) sister-in-law and her hubby once owned and ran ‘The Cross Keys’ pub in Skipton many moons ago so my hubby and self have a strong connection to the area – apart from loving the countryside, which we could never get enough of! Great :-) so glad you’ve enjoyed it Joy. The people there were so friendly and chatty, just my kind of day out. I think I saw The Cross Keys. Where abouts was it in the town? Woooooooow!!!!! Oh, it looks like such amazing fun! I wish I could have gone too! Thanks for the lovely post! Next year? You, me, Patch and the mad one (Jill) can meet up! That would be SOOOOO COOL!!! Thanks so much for sharing with all those of us who couldn’t make it. I’m originally from Yorkshire but now live in Melbourne so a bit far for a weekend trip but your blog has given me a feel for what it was like so thanks …. and now I know I have to plan a trip back home around September !!! I like Melbourne a lot – lots of cultural riches there. Start saving your pennies for all the treasures! Fab post and amazing pics :) So wish I could have been there……I used to live between York and Harrogate…that would have been really handy ! Thanks for a super post,Rachell. Where do you live now Carole? SW France… In the Charente,by the border with the Dordogne. Double thanks Manty ;-) I believe they’re keeping it to use again. Thank you for all the photos. 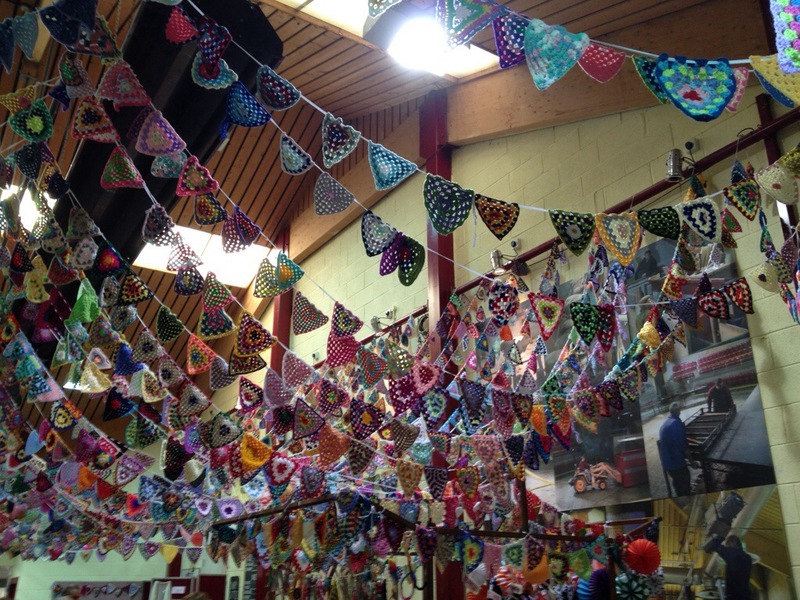 I have seen several of the bunting but not much else. Now I almost feel like I was there. It’s true… every corner you turn you find a brass band. If there’s any kind of celebration there’s always one and sometimes when there’s no celebration! 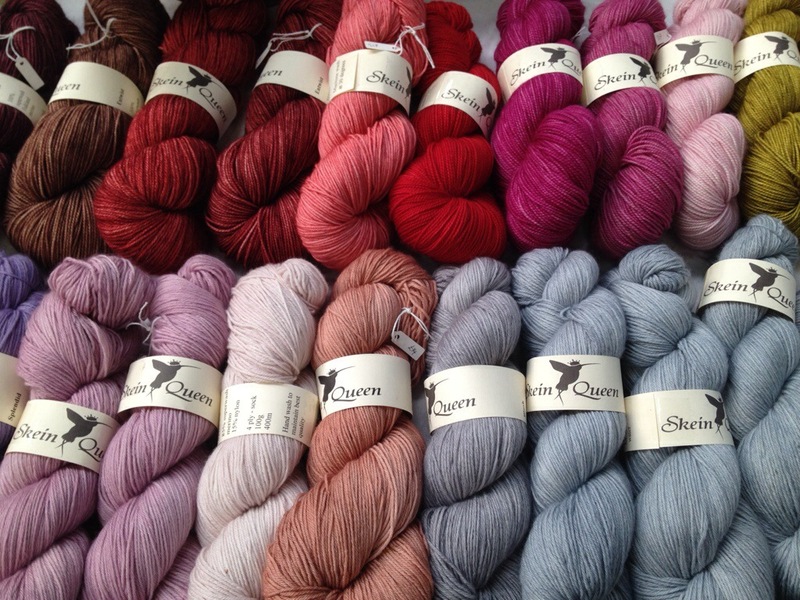 Was just looking at Skein Queen on the interwebs the other day too. Glad you liked. It’s fun that you’ve been able to spot your bunting. We have marching bands at things and some brass bands but to my ears there’s a big difference in the tone. The instruments oooop north have a Yorkshire accent?! Wow it looks like you had a great day! 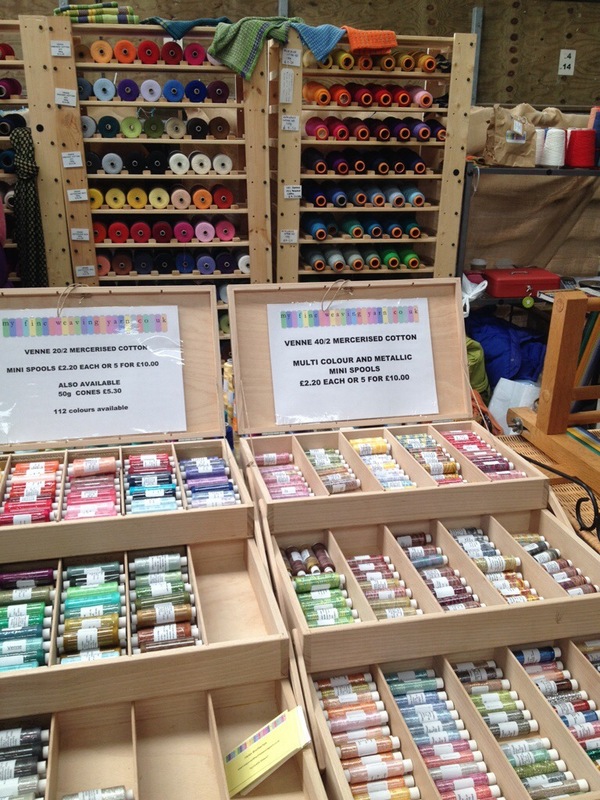 Lovely photos, so many beautiful creations and colours. 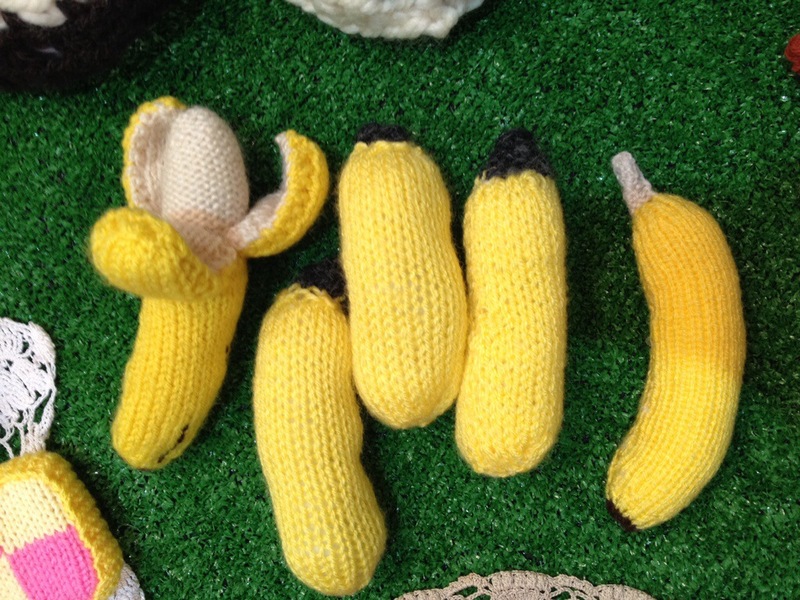 Did you resist all temptation to buy? 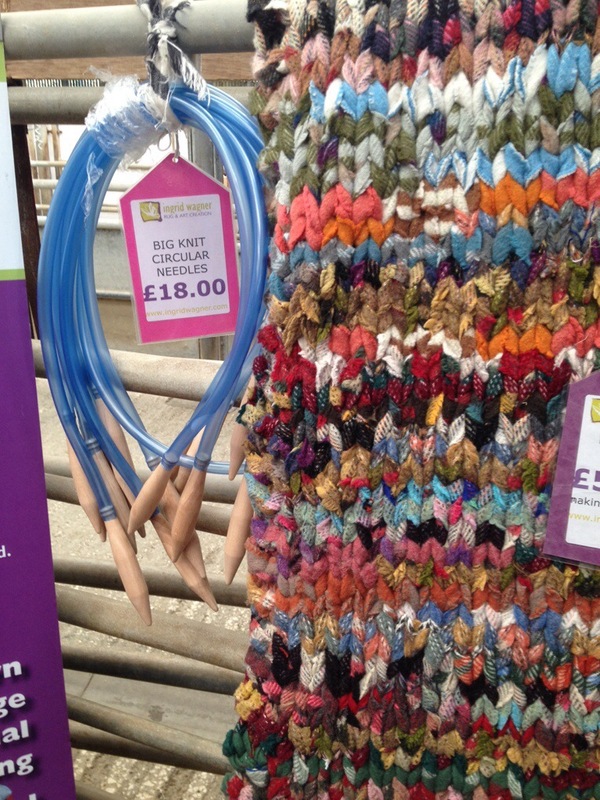 I bought some bits and pieces but resisted the wooly skeins which was pretty hard, I have enough for the moment. Next year….. It looks like it was a wonderful time! Makes you want to sit right down and start a project! Must have been so hard to resist buying one of everything!! Thanks so much for letting me see what was there. I had been really hoping I might manage to get there and use my powered wheelchair, but I had a medical appointment earlier in the week that showed me that I was actually being quite unrealistic about managing to get there. And now I hear how busy it was, and how difficult the car parking was. . . now I know for sure it would have been way too much for me, and that I probably saw more from your photos than I would have done from my wheelchair!!! 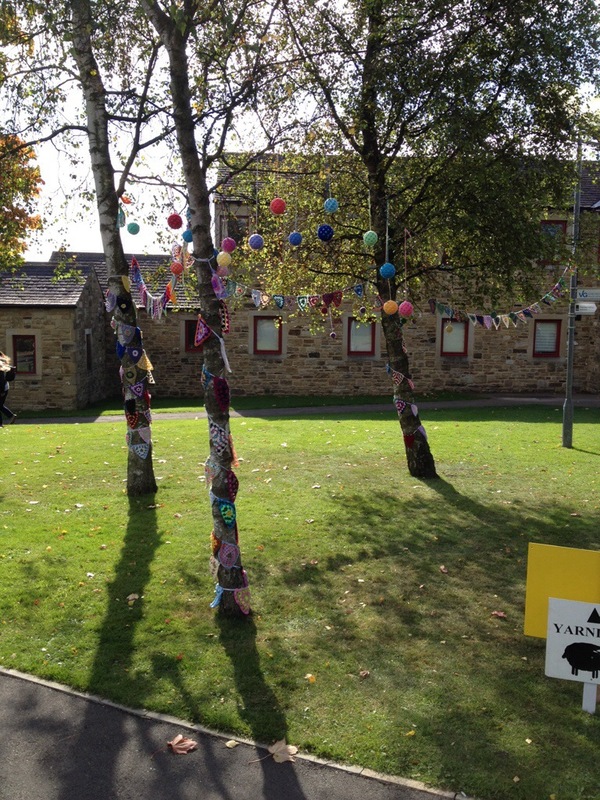 I’m still kind of sad that things like Yarndale are now beyond me, but hey ho! That’s life, I guess! 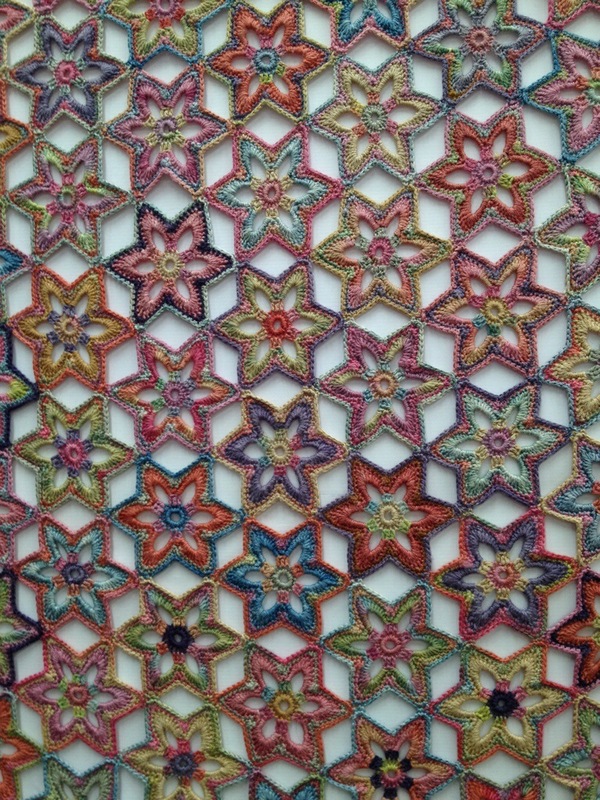 I got to visit quite a few exhibitions when I was younger and more able, but there really weren’t the same kinds of luscious yarns available then as there are now. 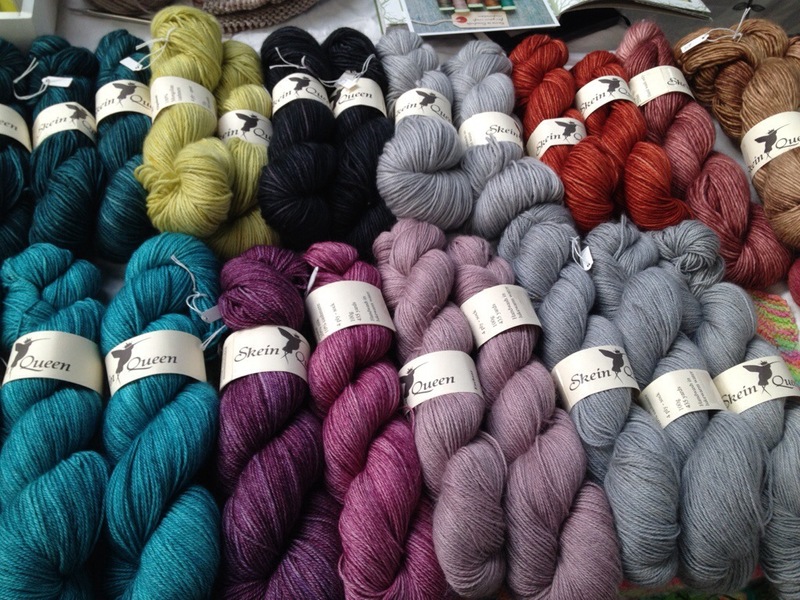 . . but also, yarn didn’t have the same kind of price tags either, so perhaps I’m better off not going just to see what I can’t afford, nowadays! LOL! I never was much good at “window” shopping. It just doesn’t have the same effect as retail therapy, does it?! Hehe! 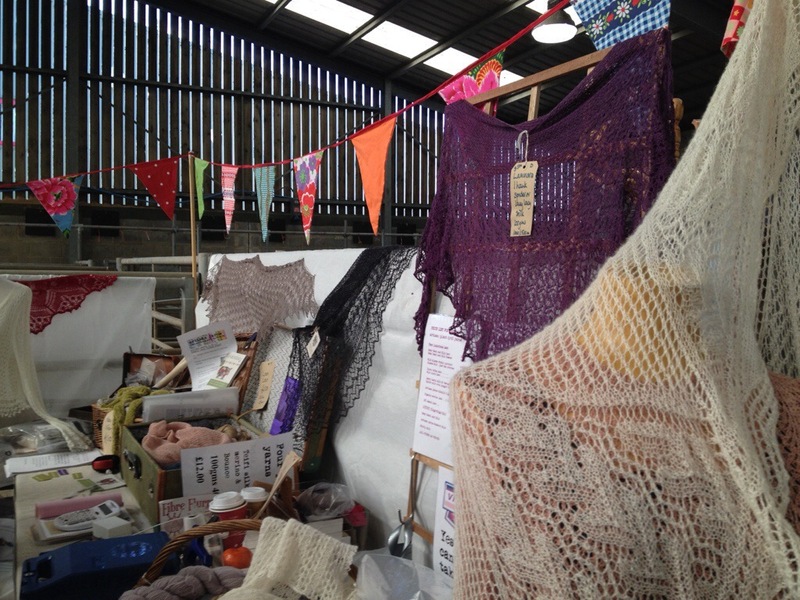 Many thanks indeed for sharing your Yarndale experience. 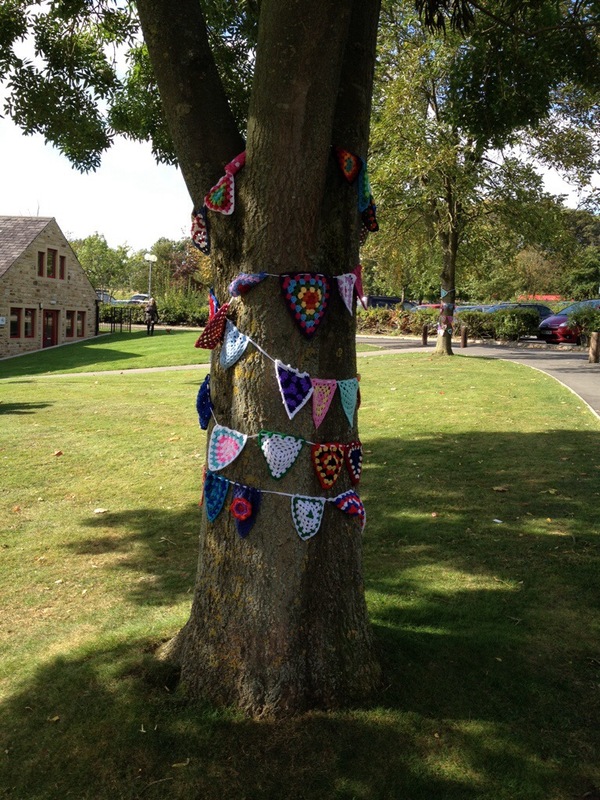 I’ve searched in vain for my bunting :( I did one with a little knitted bee attached in the hope I would spot it, but no luck so far. Perhaps I’ll go next year & see for myself. Maybe a coach trip could be a possibility? Thanks again. Sue. 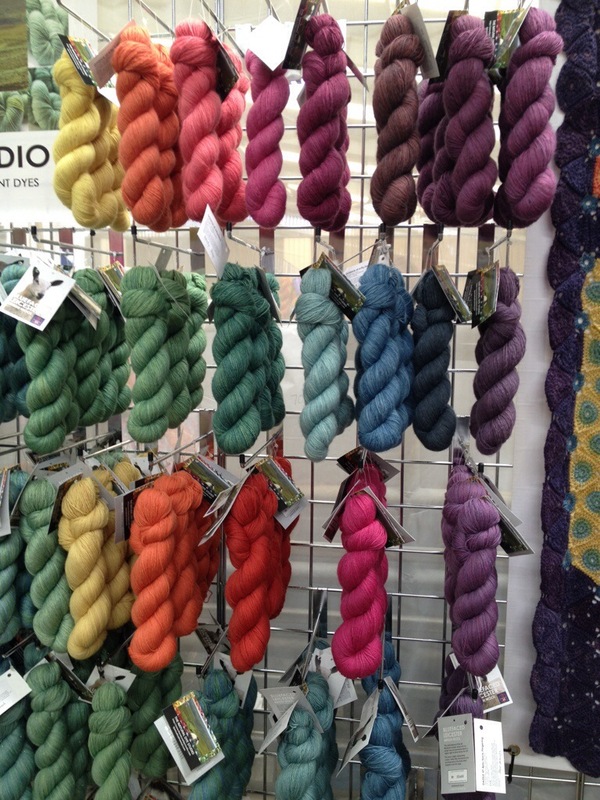 Excellent post Rachell and it was lovely to meet you at Yarndale. I’m glad you had a good day and I hope you went home with lots of goodies. 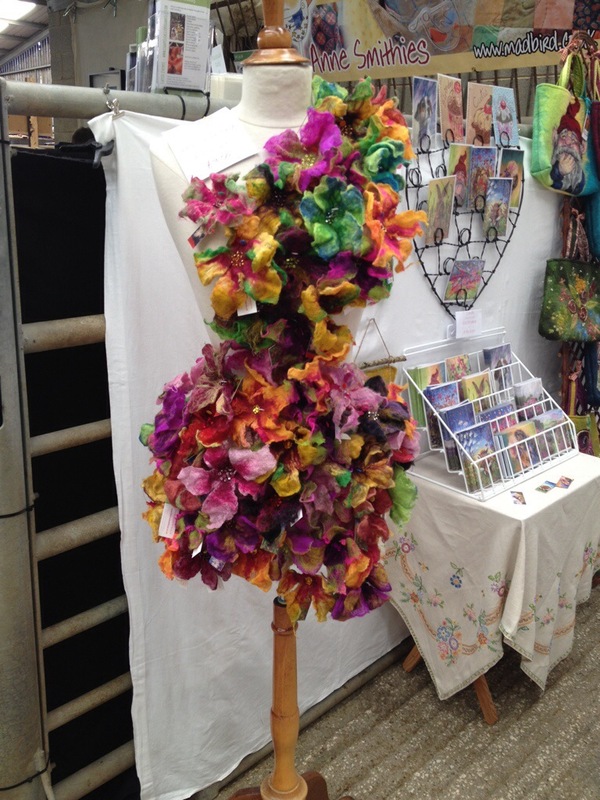 That’s a very good photo of my felted flower brooches on Ethel Maud (my mannequin). Maybe see you next year! It was lovely to meet you too, I completely forgot to come back for a notebook or two in the flurry and regretted it when home. Next year!